Natural essential oils that repel fleas & ticks in a natural oil & glycerine based concentrate. 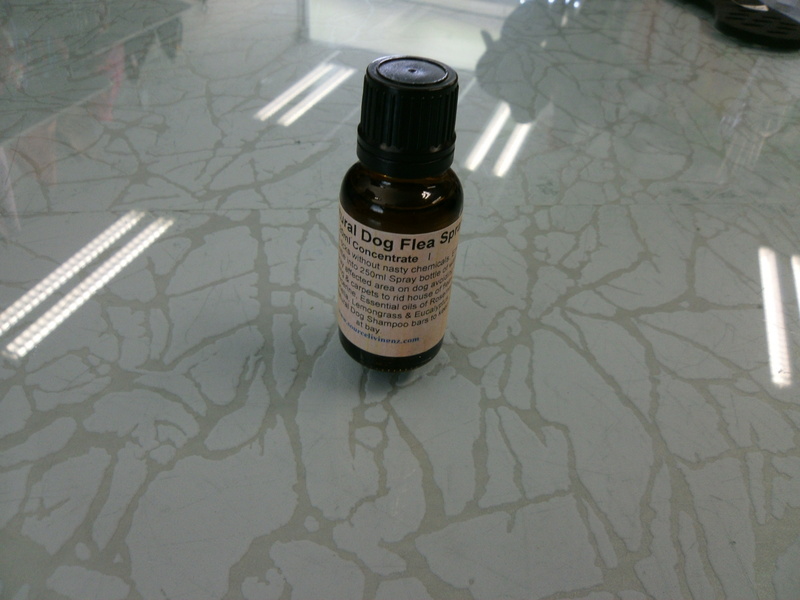 Simply mix contents into a 250ml spray bottle of water & use to spray dogs coat, dogs bedding and carpets to be rid of fleas without nasty chemicals. 20ml concentrate.